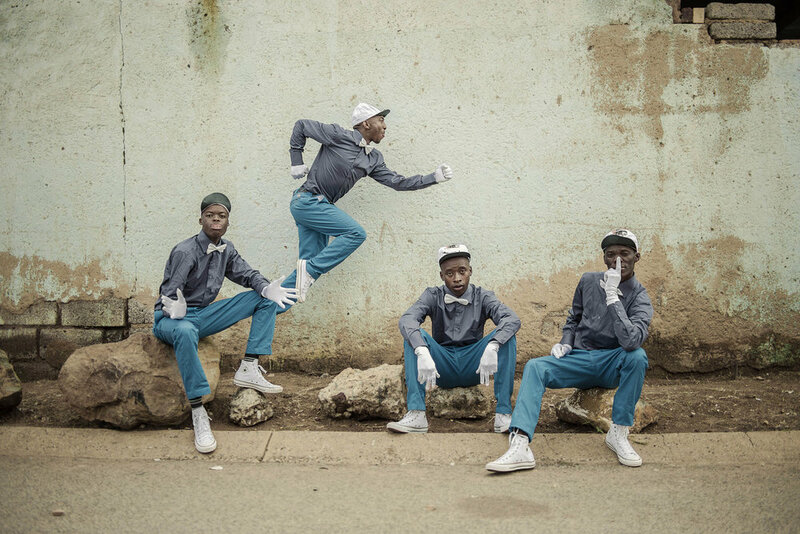 Pantsula is a genuinely South African dance form, originating in the streets of the townships and linked to a dominant subculture. 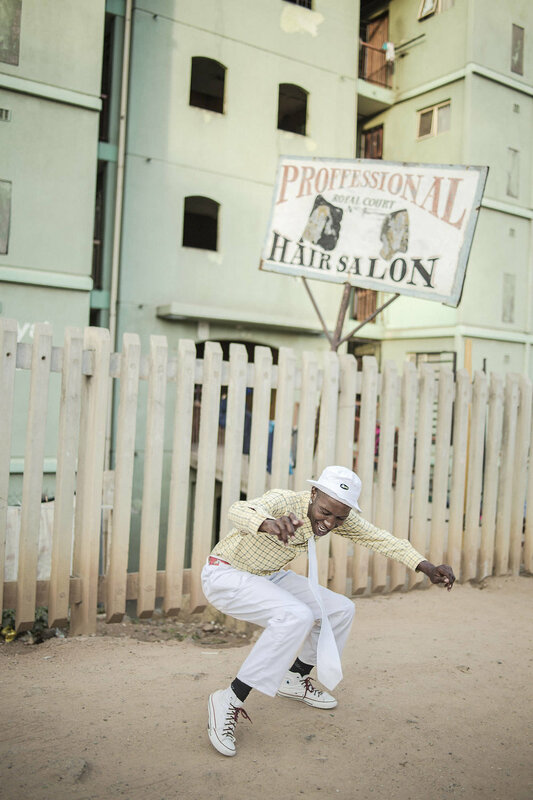 Inspired by African jazz and the lifestyle of Johannesburg’s destroyed multiracial neighbourhood Sophiatown in the 1940s-50s and deeply rooted in Marabi and Mbaqanga, representative of the music and dance culture in the townships in the 1960s-70s, pantsula became the main expression of youth culture in the 1980s-90s and transformed into a strong and independent dance-form with the rise of Kwaito and House music in South Africa. 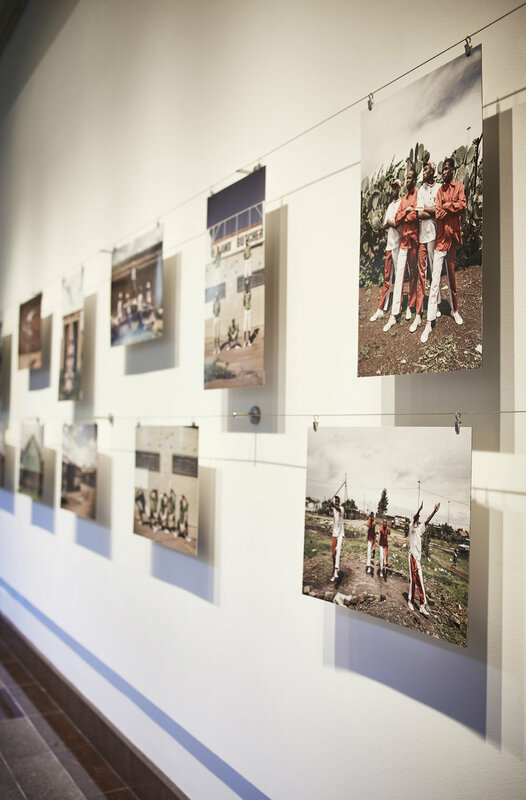 Pantsula allowed the youth in the 1980s-90s to take the streets of the townships for a stage where the limits and restrictions of everyday life could be expressed, contested and transformed through creativity and a lifestyle that, based on an explosive mixture of local and imported elements, merged a strong socio-political consciousness and the slang of the streetwise with popular music, an inventive fashion, and a highly energetic and competitive dance-form. 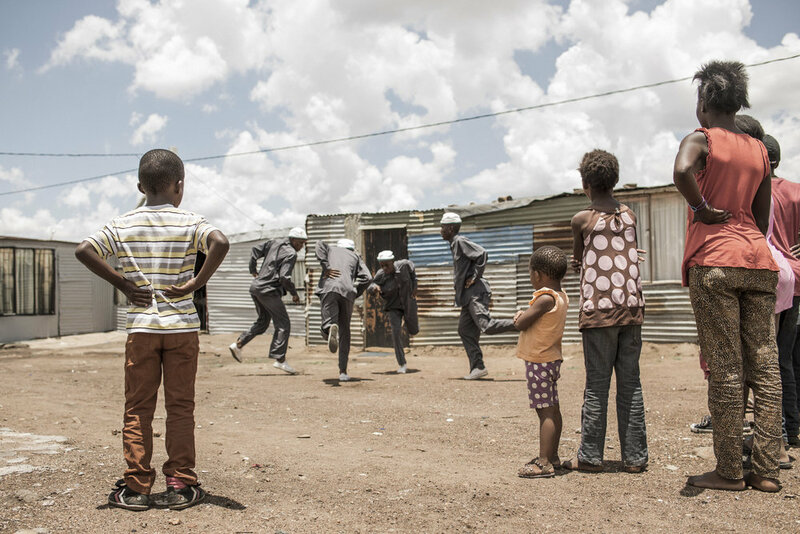 20 years after the end of apartheid pantsula remains an important source of inspiration for a new generation of youth who take it to theatre stages and around the world. 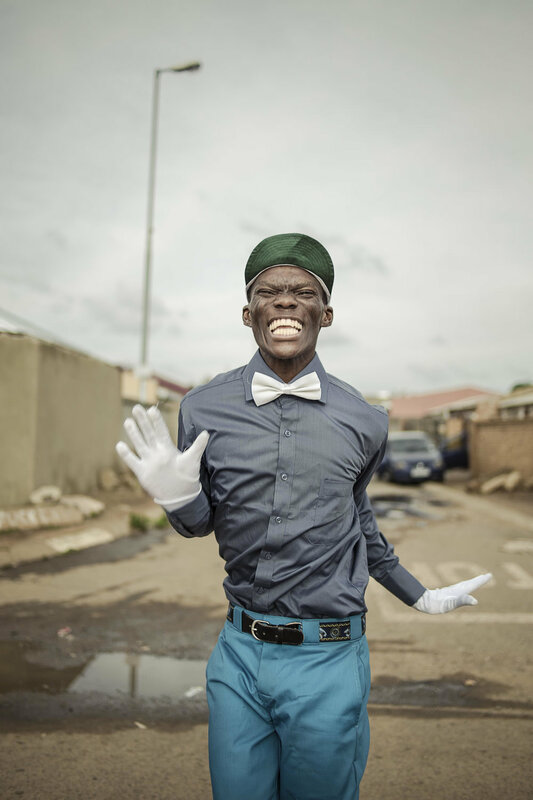 Impilo Mapantsula is an association founded in 2012 by German researcher Daniela Goeller and the pantsula dancers Vusi Mdoyi, Sello Modiga, Joshua Mokoena and Sicelo Xaba, with the aim to document and protect the living legacy of the vibrant and fascinating street culture that has shaped the identity of generations of young people in South Africa and create a network to support the dancers in professionalising and further developing their art. 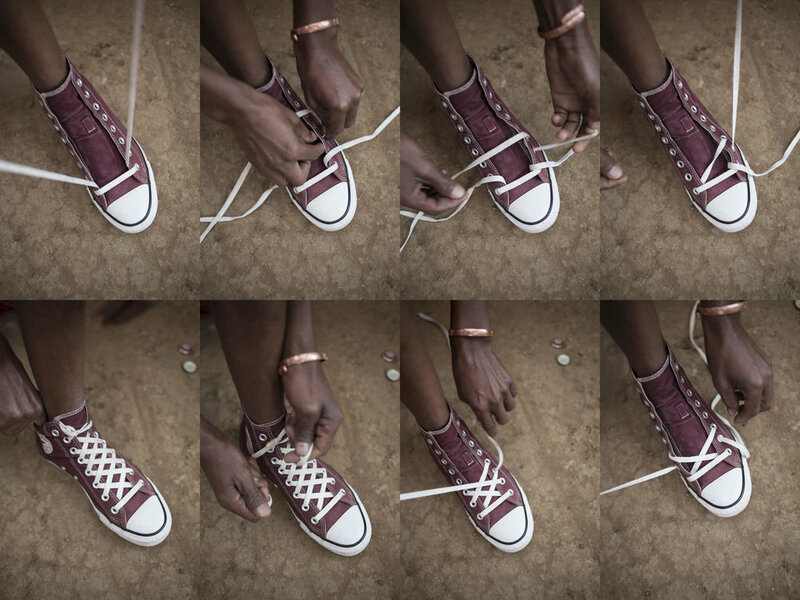 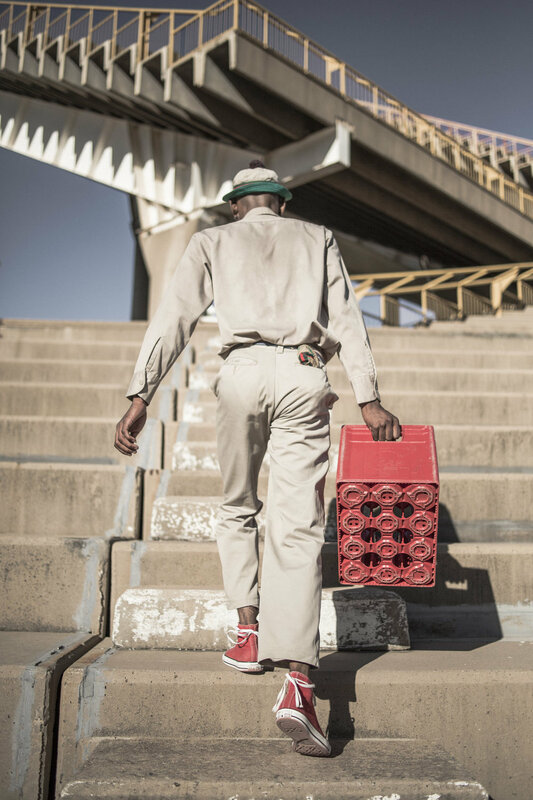 Between 2013 and 2016 Impilo Mapantsula has collaborated with Chris Saunders to create a series of photographs to document a number of pantsula crews in the different townships around Johannesburg. 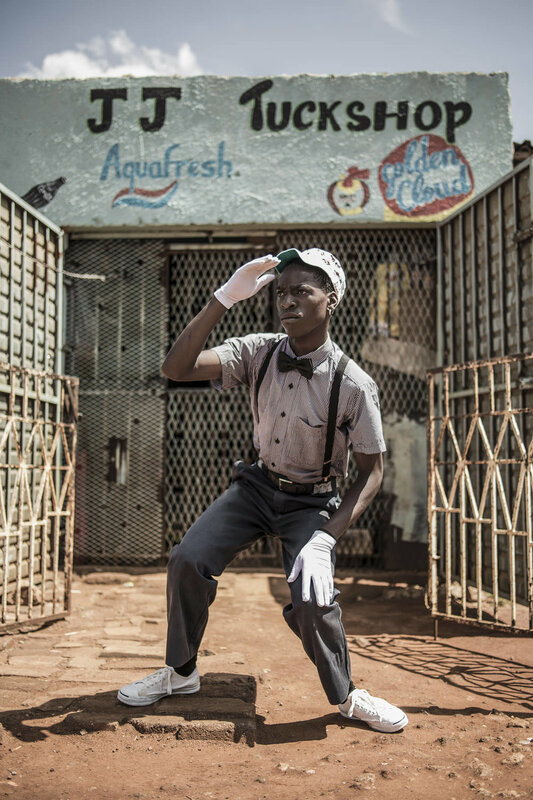 The photographs were taken in the streets, in the neighbourhoods where the groups rehearse and live. 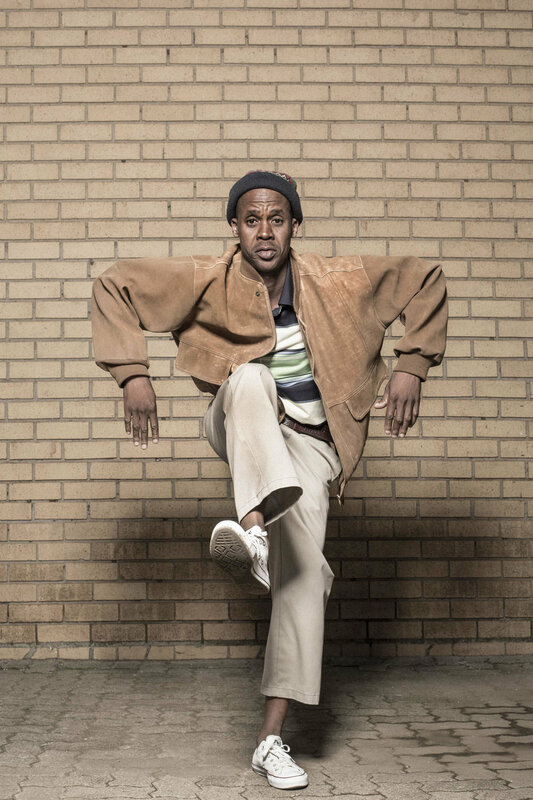 They portray the dancers in their original clothes and performance costumes and show a selection of the most characteristic movements. 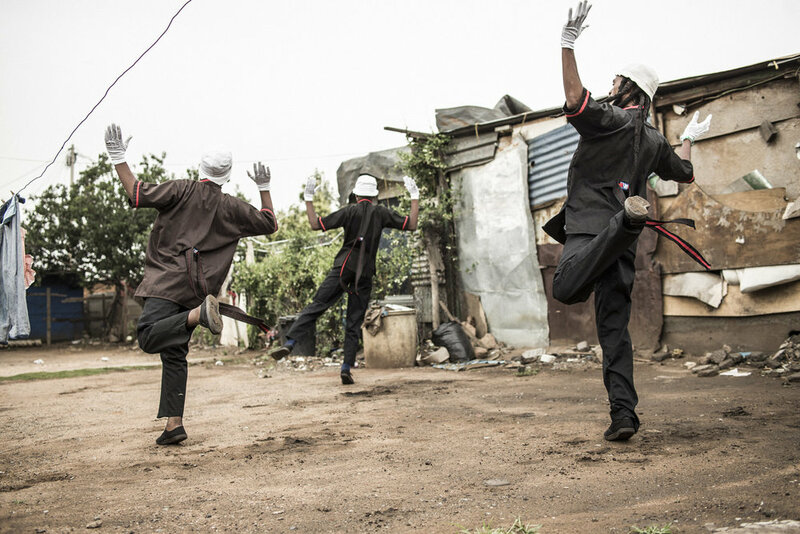 Pantsula is a very illustrative, entertaining and narrative dance-form, incorporating elements of acting, acrobatics and mime. 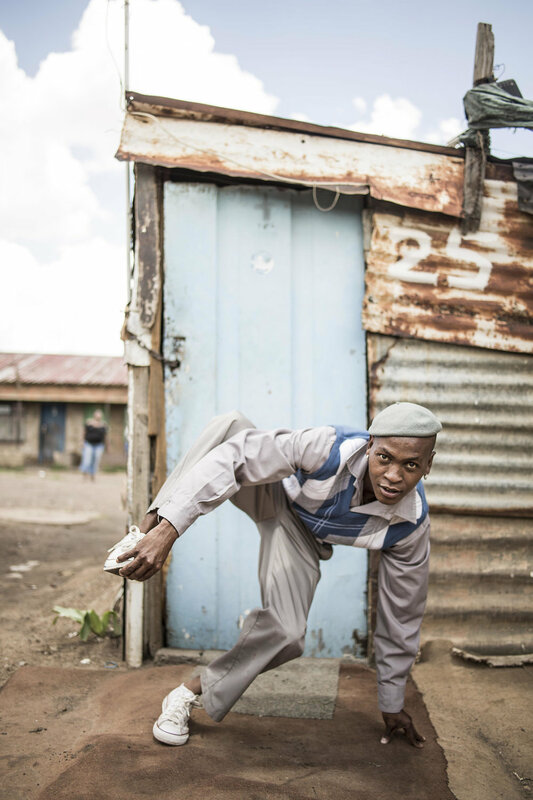 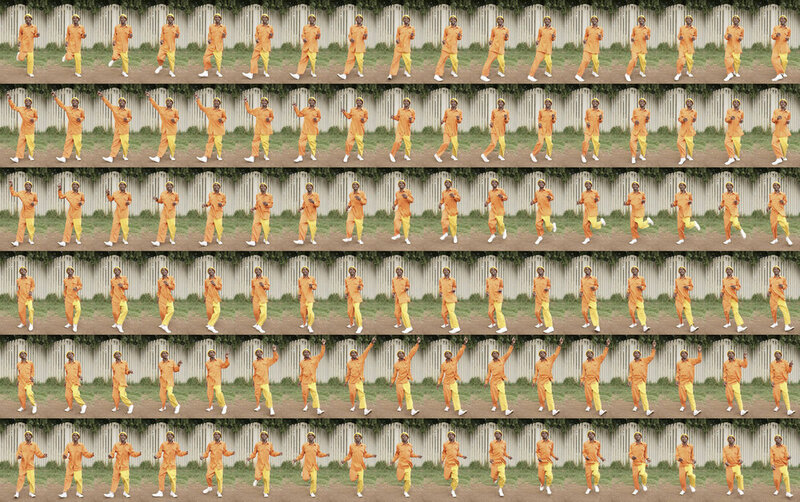 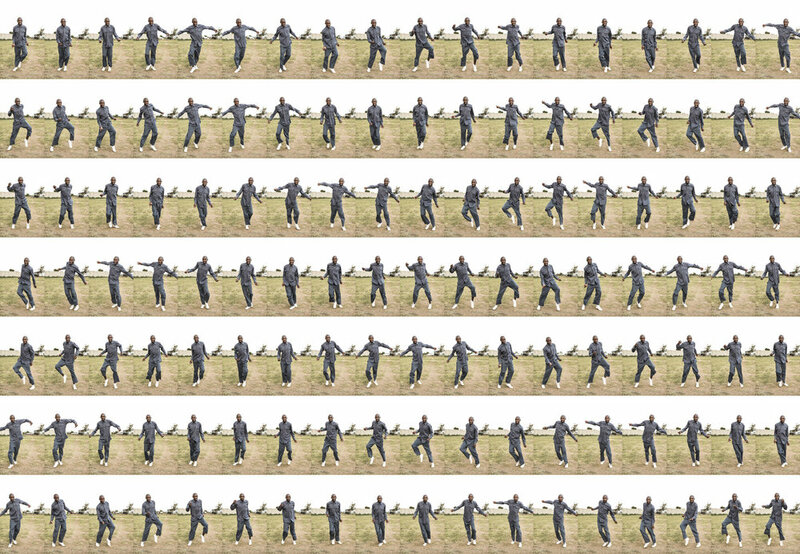 Situations and gestures of everyday life are translated into the dance to tell the stories of life in the townships. 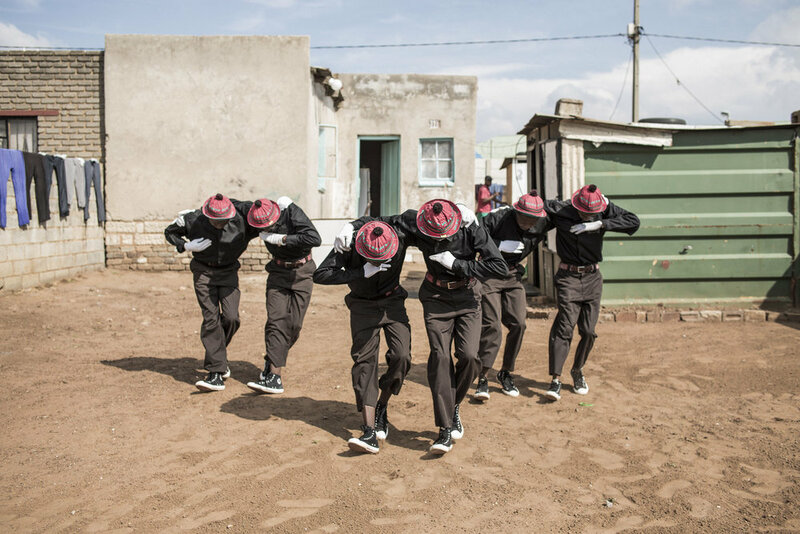 Some are more universal, like the most important basic and vital step of pantsula-dance, imitating the sound of a galloping horse or a moving train hitting the sleepers. 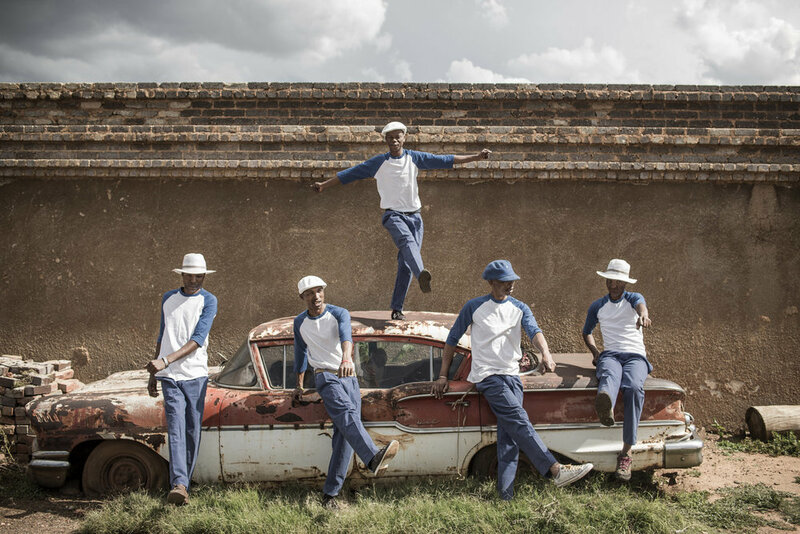 The step was adopted from the staff-riders who when they jump off the moving trains have to compensate the speed in order not to stumble and fall (“sparapara” - sephara = Setswana for flat, landing on flat feet in this case). 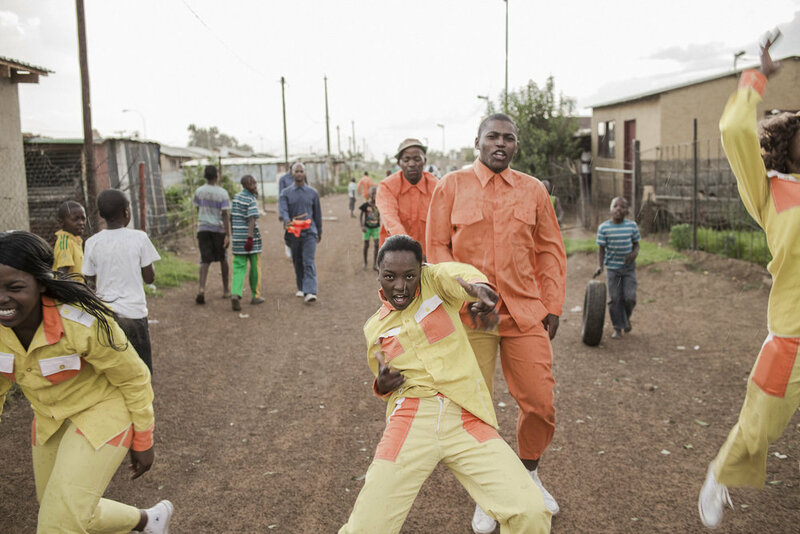 Some are deeply embedded in the South African context and speak to a very specific, historical or contemporary, situation, like the gesture to hail a minibus-taxi to go to town (“Ijozi” - Jozi = local for Johannesburg): The index pointing up in the air imitates the television tower, one of the most visible and significant buildings and emblem of Johannesburg. 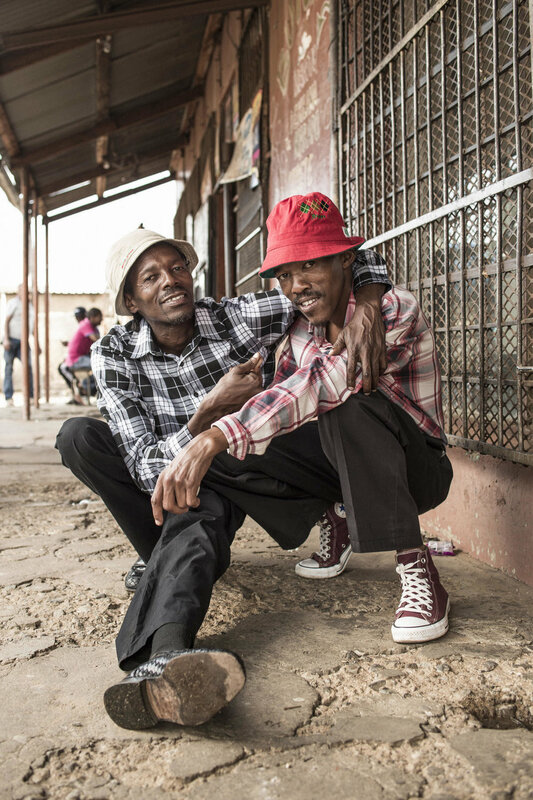 Despite its originality and the international success it has encountered in recent years, the social responsibilities taken on by its practitioners in their communities and it’s potential to provide interesting job opportunities for the disadvantaged youth, pantsula struggles to surpass it’s image as a “gangster-culture” and gain mainstream acceptance and recognition. 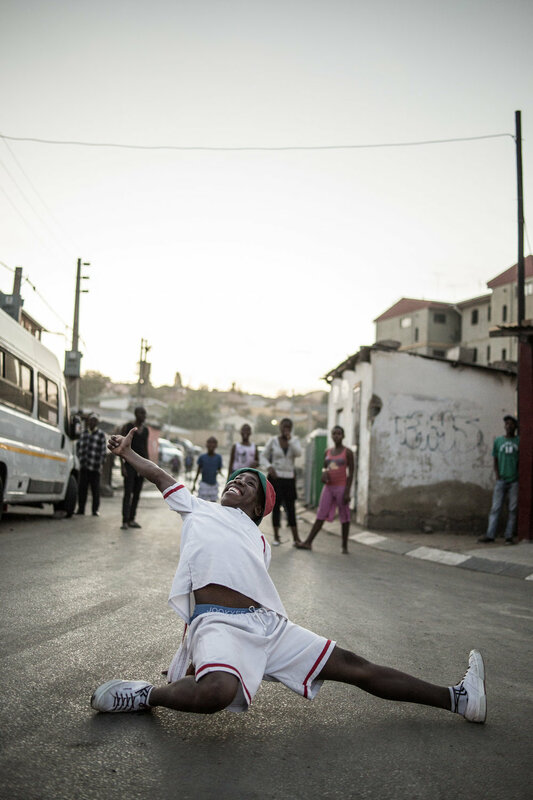 While the culture on one side is still associated with low social status, immorality, and crime in the townships, the dance-form, on the other side, has long found its place in the hearts of all audiences. 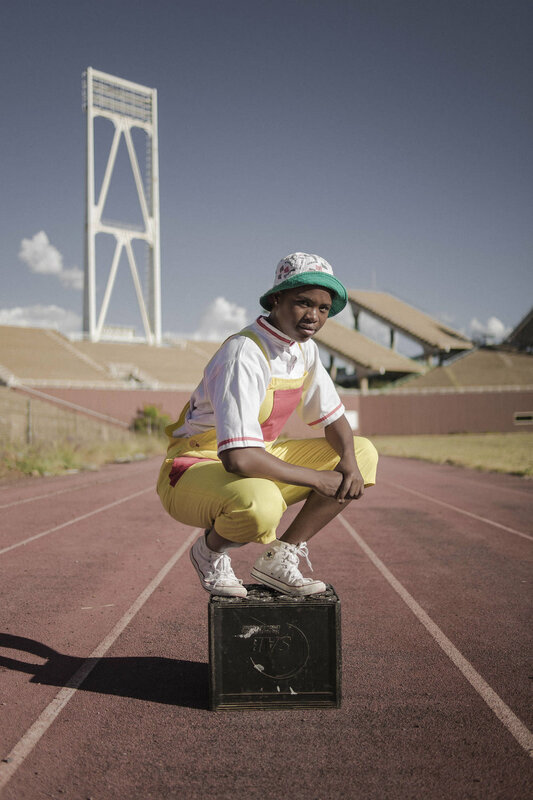 The full acknowledgement of the historical significance of pantsula is however still outstanding. 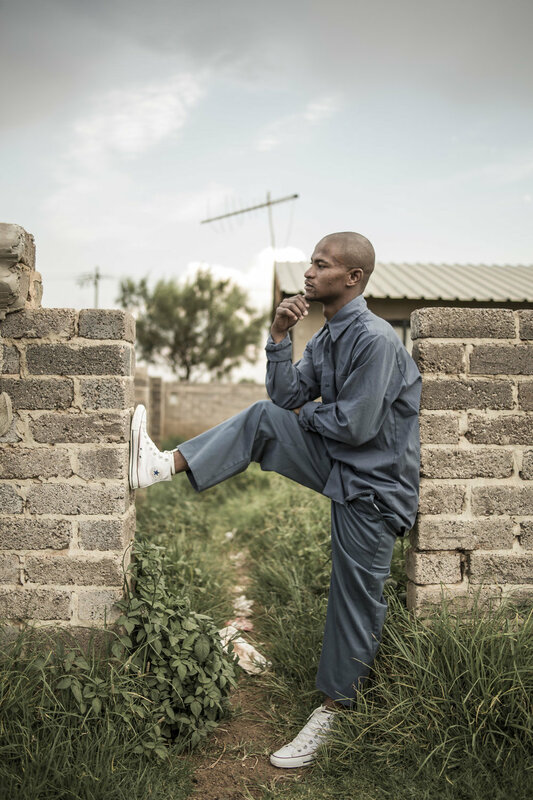 The inspiration guiding the activities of Impilo Mapantsula is to contribute to the broader investigation of pantsula as part of the Intangible Cultural Heritage of South Africa. 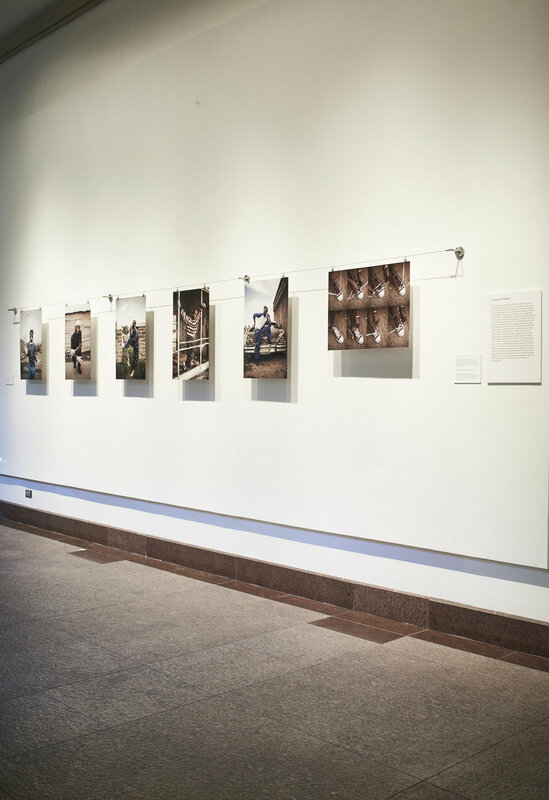 Selections of images from the series have additionally been exhibited at The MOMA NY / ‘The history of the Bucket Hat’ (Is Fashion Modern Exhibition and Book), Lagos Photo Festival 2016, AKAA (Paris) with Nataal Magazine (2017) and The Kalashnikov Gallery Berlin (2017). 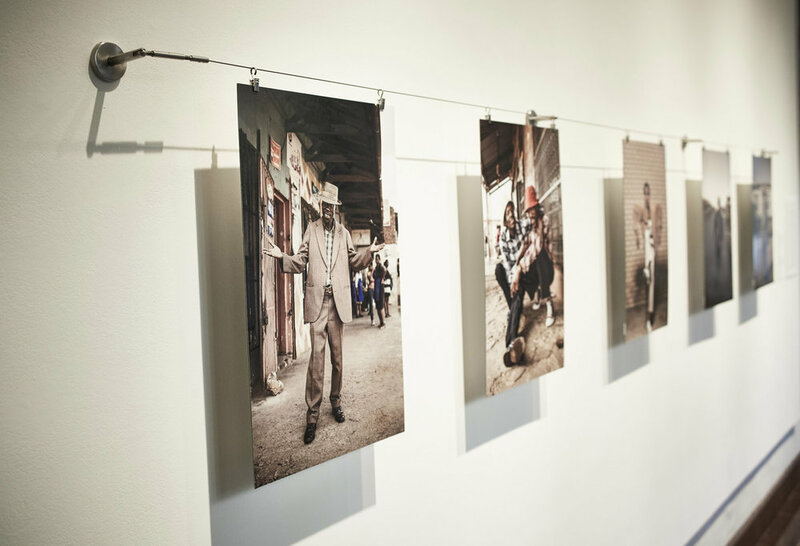 The work has additionally been published in several established international publications including The New York Times Culture, The Fader Magazine and Zeit Magazine Germany. 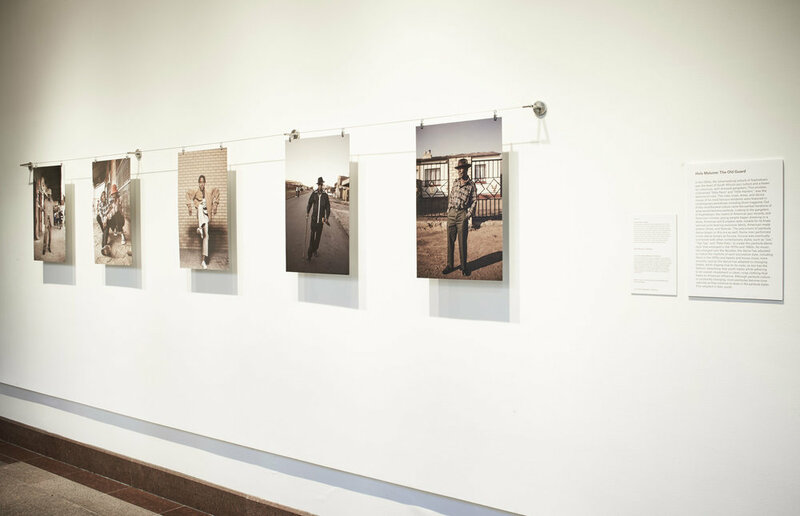 The ultimate goal of the project is to publish the body alongside an accurate historically accurate historical text in conjunction with Sicelo Xaba & Daniela Goeller who collaborated on the production of the project.